Larry G. Acklin was born on August 13, 1948 in Mayflower, Arkansas the eldest son of the late Lilbon C. Acklin and Ethel Palmer Acklin. After graduating from Mayflower High School, he entered the University of Central Arkansas, graduating in 1977 with a Bachelor of Science degree in Sociology and Journalism. Upon graduation from college Larry G. Acklin began working for a major manufacturer of school and commercial furniture in Conway, Arkansas for some twenty-one years in Marketing and Sales. Larry G. Acklin entered an apprenticeship program in funeral directing with one of the local funeral homes in the Little Rock, Arkansas area and began his professional career as a funeral director. 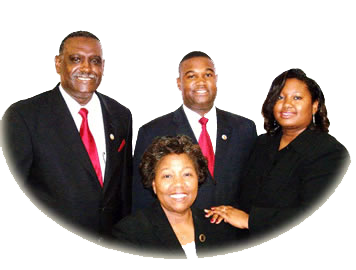 Upon completing the apprenticeship, he founded the Larry G. Acklin Funeral Home, Inc. in Conway, Arkansas. At the time he was still employed full time as a marketing executive.